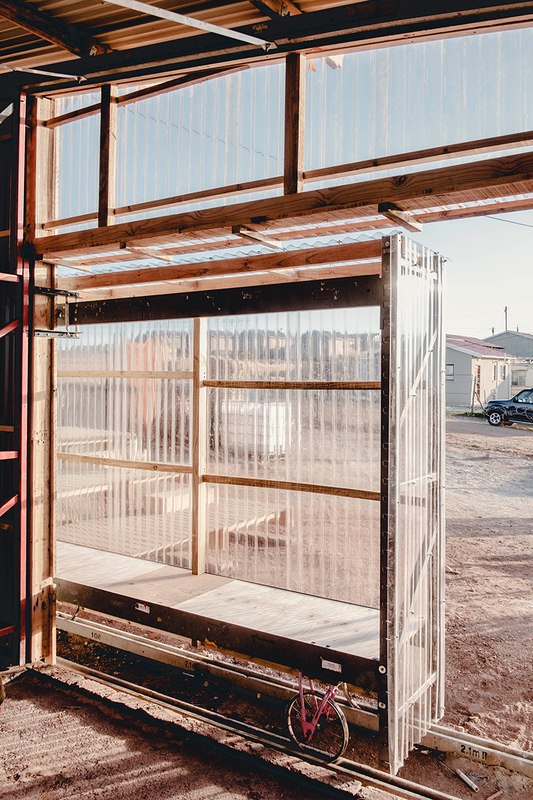 since 2014, saga — a french architecture collective — has been working with local residents in the suburbs of port elizabeth, south africa to implement a variety of different facilities. 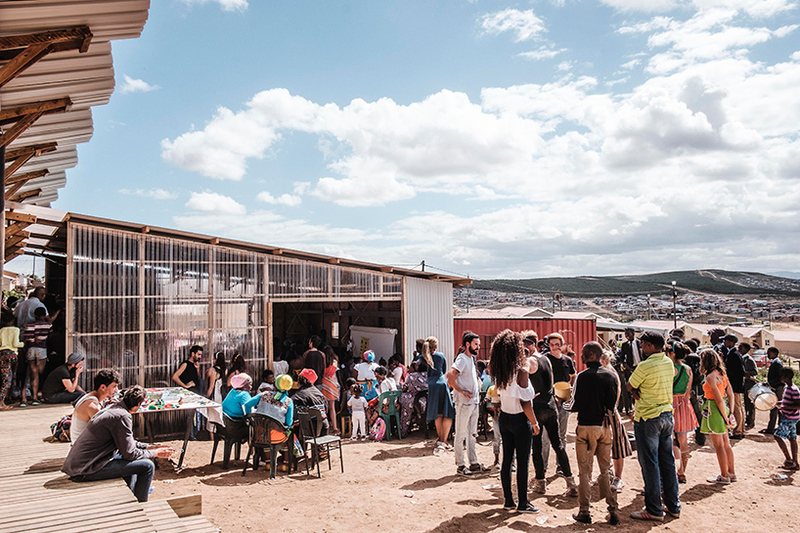 now, two years after completing a community hall for an informal settlement named joe slovo west, the design team has returned to the region to build the ‘silindokulhe preschool‘ as part of the development’s second phase. 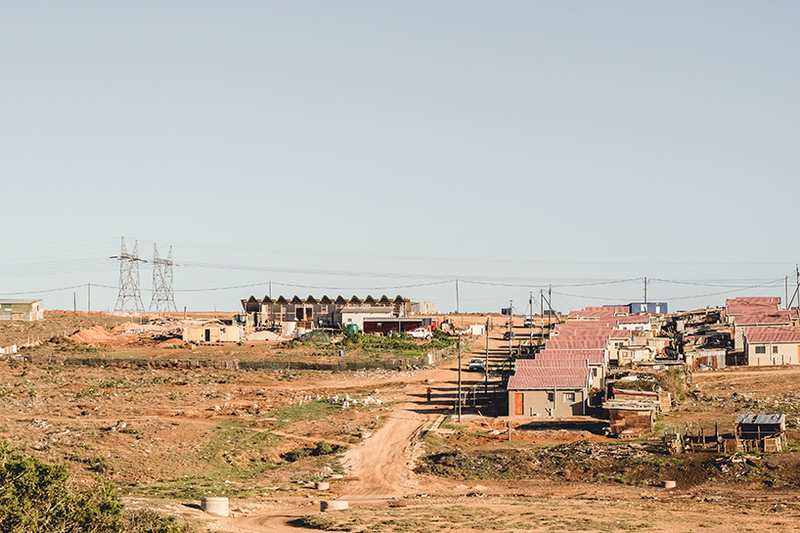 saga describes joe slovo west as a ‘permanent construction site’ that is developing quickly and constantly changing. 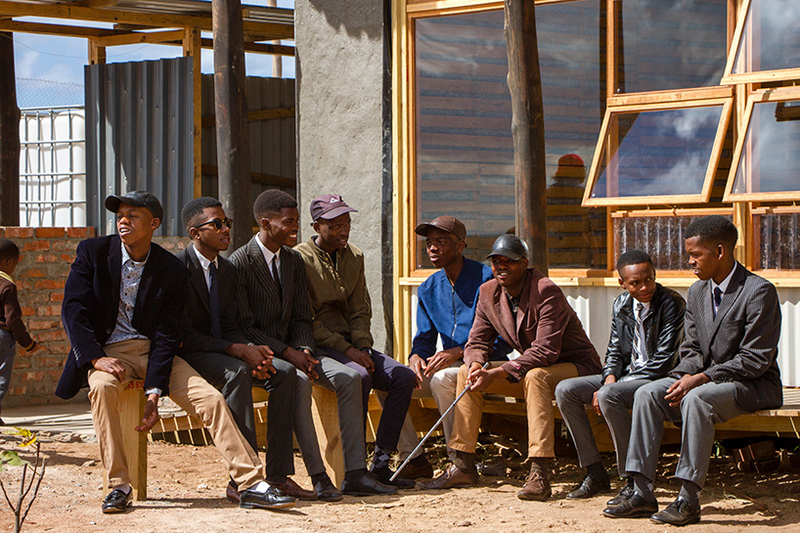 in 1994, the government began a nationwide construction program called RDP that sought to replace the region’s self-built shacks with secure and stable accommodation. 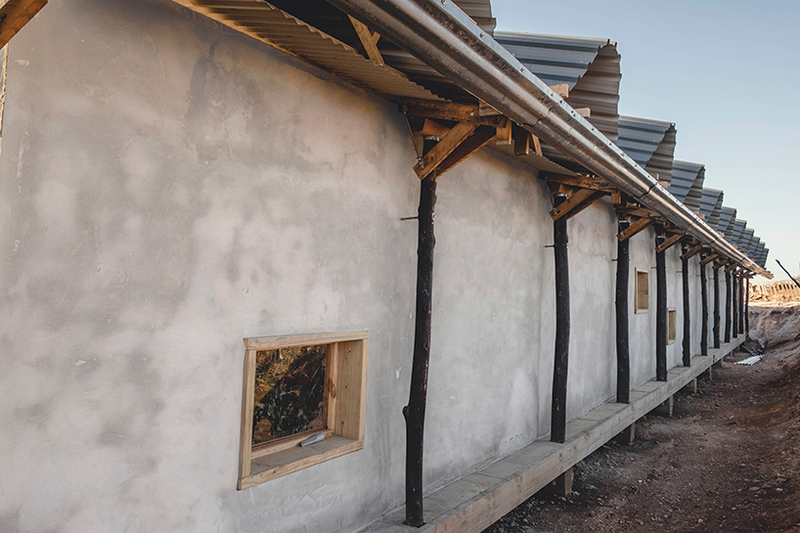 residents, some of which had waited a decade for their new property, are given a basic concrete unit that measures a total of 36 square meters. within this context, local resident patricia piyani founded a local preschool and soup kitchen where she looks after the community’s children on a daily basis. 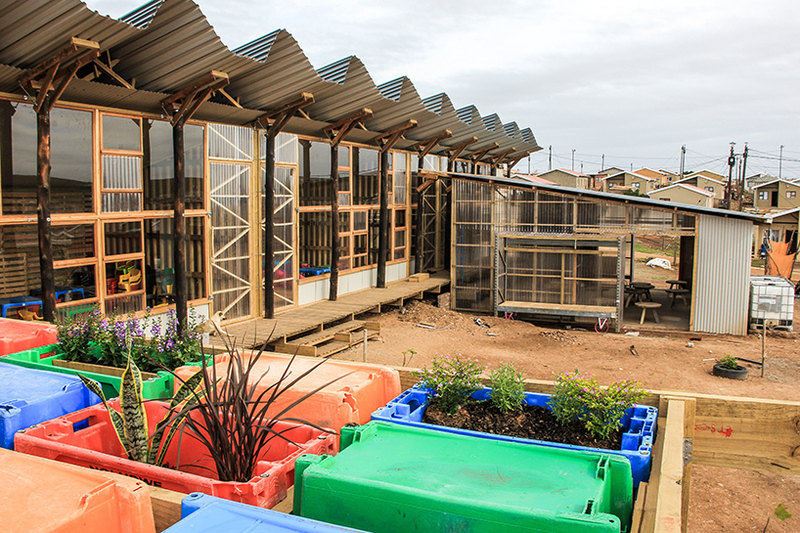 as the school became more and more popular, the need for more permanent facilities increased. saga began by carrying out a study of the site, its resources, and its people. 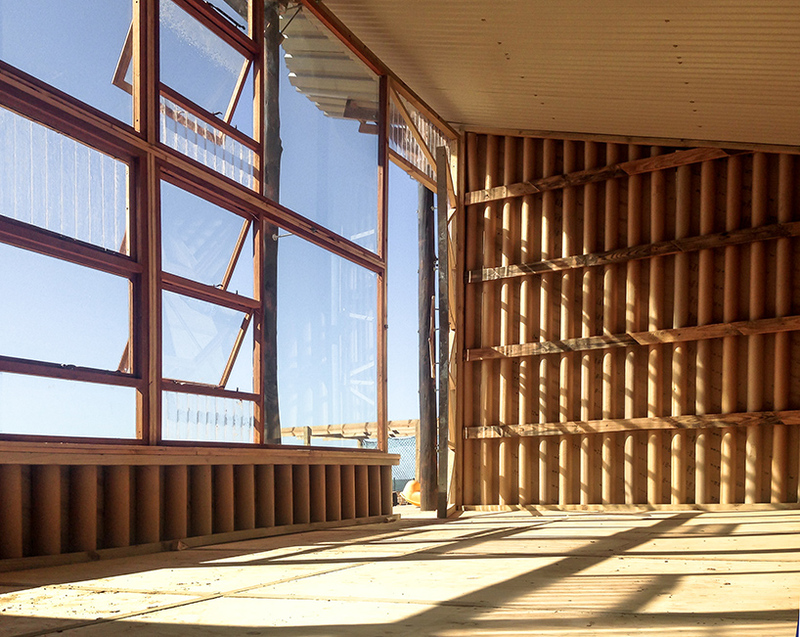 the project’s design was developed collectively and was constructed experimentally. ‘materials and objects collected from all over the city are assembled together, reused, distorted, to create a whole new story, based on a collective effort,’ says saga. 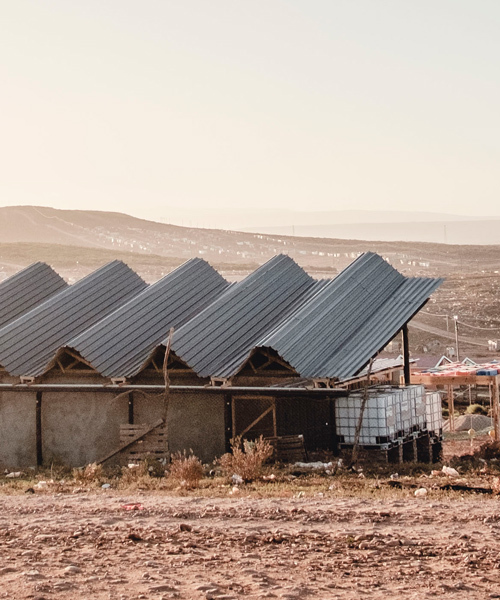 the resulting building wears its construction methods proudly, offering sweeping views of its surroundings from beneath an undulating corrugated roof. 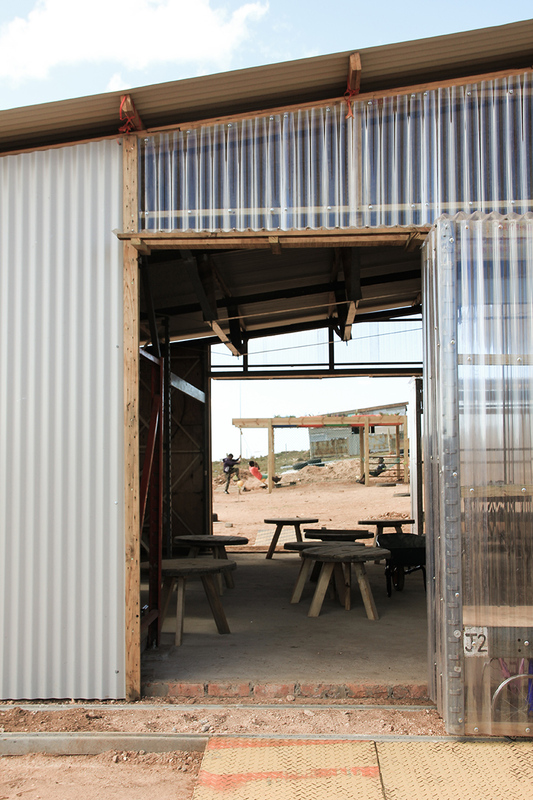 internally, three naturally ventilated classrooms are joined under the canopy by an office for patricia and the four teachers, while a canteen with a sliding door is located opposite. the entire scheme is articulated around a playground where children are encouraged to spend time together outdoors.